A year ago, Edward Snowden began to reveal surveillance practices NSA. On this occasion, the collective "Fight For the Future" introduces the "Reset The Net" campaign which aims to act against cyber surveillance. Two axes are followed: first, educate the public to the problem and invite them to use the services and applications that encrypt and protect personal data. On the other hand, invite developers to protect users against espionage governments. Many web companies and associations and Edward Snowden support this campaign. In June 2013, the world discovered Edward Snowden. This former consultant to the NSA, indeed, promotes practices revealing the NSA surveillance. By taking these risks, Edward Snowden, now in exile, wanted to raise public so that it protects web companies and developers to react and protect users. Since then, the U.S. government has made some changes to the operation of the NSA, but the situation has changed little. The collective "Fight For the Future" works for the development of a respectful internet of personal data, fundamental rights and freedoms of Internet users. 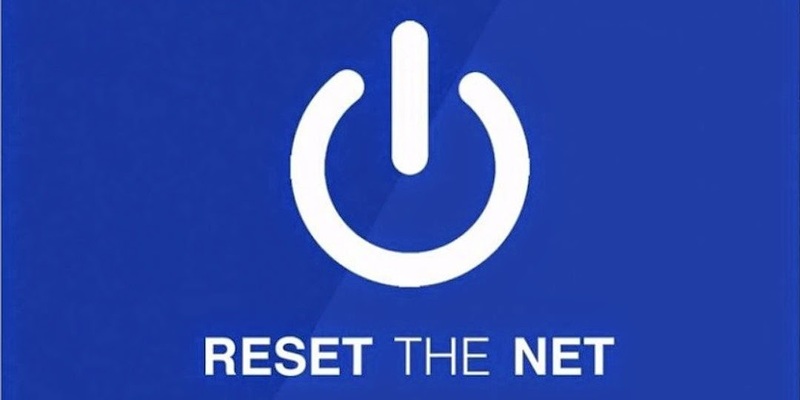 It has decided to act to mark the first year by launching June 5, "Reset The Net" campaign to combat cyber espionage mass NSA and ensure a respectful internet. Two objectives are pursued. Firstly, the campaign aims to sensitizing Web surfers on cyber surveillance and invite them to opt for tools Free and protection. Many partner companies such as Twitter, The Guardian, Wordpress, Tumblr, Mozilla, Dropbox, Google, Yahoo! and CloudFlare encourage their users to select services and applications that protect their data. In addition, "The Net Reset" wants to encourage other web companies to protect their users against the U.S. government spying. Beyond the major web companies, the collective "Fight For the Future" has received major support, that of Edward Snowden. It encourages this initiative, like personal goals, wants the web players make opaque internet to governments and supervisory authorities.